A Feis (Fesh) is a dance competition. There are about ten or so, small competitions during the year in Sydney, but fewer in the other states. 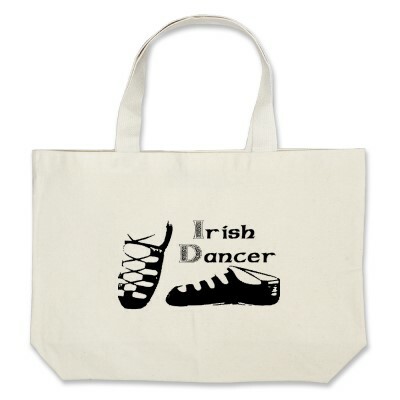 They are sponsored by the AIDA, (Australian Irish Dancing Association) or INDA (Irish National Dance Association) or dance schools or community groups. Competitions are held in Church halls, school halls, but more often at nicer venues such as airconditioned sporting or community clubs. About three weeks before a competition your teacher will give you an entry form. You will be required to tick which dances your child is going to enter. You will only be ticking the beginner section, and at first only the Jig (hop & hop) and may be the Reel (over 2,3) this will cost you about $12 dance. Your teacher may have to sign the bottom and check your choice and then you post it off with a cheque or direct deposit and email. Keep a copy of the entry form as it has the address of the competition and what dances your child has entered. The timings for each age group will be announced at the studio (or a notice on the wall) or on facebook, two or three days before the competition. Little beginners are most likely to be on in the morning but this can change. During the week before the competition your teacher will tell you what time your child's age group is dancing. It is best if you keep a copy of your entry form in case you forget what you have entered. Timetables are often listed on this site. Often a venue fee will be included with the entry form which goes towards the hall hire. Entry monies cover the cost of the medals and the fees of the judges. If a venue fee is not included on the entry form you can expect to pay a door fee on the day. If you are lucky there will be a program included in the entry sometimes it costs $2. Read the program and find your child's name and note what sections he/she is in. Check against your entry form it see if it matches. If it doesn't, tell your teacher or an organiser. Keep in mind that "Premiership" means she will be dancing twice even if it is only listed once in the program. When the section is called she goes on her own to the side of the stage under the direction of one of the organisers. The small beginners will dance three at a time on the stage together. Your child will be dancing different steps from the the other children on the stage and the hardest thing for her is not to be distracted by them. At your first couple of competitions, there could be up to 30 mins wait between dances. So keep an eye on the section numbers and listen for that. At big competitions they sometimes hold Beginners and Primary on one weekend and Intermediate & Open on another so the wait between dances will be shorter. Your child will be competing against children of the same age. Age is taken as at 1 January each year. If your child was born in January your child will be one of the older children. At a smaller competition there might be combined ages to make enough numbers for a section. Like 9&10s together or 11&12s. At your first competition, you will probably be entered for two dances the JIG (which the children sometimes call `Hop and Hop’) , the REEL ( called “over 2,3”) or an EXTRA JIG (Hop and Hop again) if she doesn’t know the Reel. Beginners usually go first and then the other grades; then the next type of dance starts again with the beginners. After each grade has finished all these dances, prizes may be given out. Sometimes however at smaller competitions, the prizes are given out after the Premiership (which is not for Beginners). You must allow at least 3 hours for your first competitions. In Sydney we also have the awesome Milton Baar who creates professional photos of all prizegiving at selected competitions and posts it on his site www.swoose.net for free. Many of the photos on this site are Milton's. If you do not wish to have your child photographed just tell Milton or your teacher. Although it is totally free, he has been persuaded the put a donate button on his site. So after you have downloaded many of these lovely photos, you can show your thanks be contributing to his power bill.